Charlton secured the League One title in front of their own fans at The Valley on Satuday after beating relegation-threatened Wycombe 2-1. 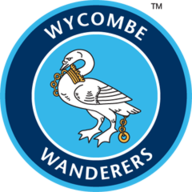 The Addicks' victory, along with Sheffield United's defeat to MK Dons, saw the south Londoners triumphant with two games to go and puts Wycombe closer to playing League Two football next season. 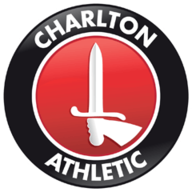 Charlton started strongly and broke the deadlock just 14 minutes into the game when French striker Yann Kermorgant fired a free-kick from 30 yards over the defensive wall and into the bottom corner of goalkeeper Nikki Bull's goal. It was a first-half controlled by the home side with striker Bradley Wright-Phillips going close a number of times. The sides went in even at half-time though after Wycombe snatched a 45th-minute equaliser when, on the counterattack, Marvin McCoy crossed for Stuart Beavon to head home at the far post. But the Addicks got the winner after 74 minutes when the tireless Kermorgant headed Rhoys Wiggins' centre back across goal for Dale Stephens to fire into the corner of the net.